Time is a fascinating subject, and while physics (both relativity and quantum) has a lot to say on the subject, the current consensus view has several huge flaws. 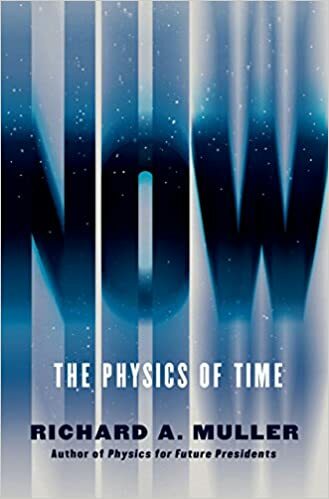 First, the laws of physics do not address the concept of now, and many physicists have even reached the conclusion from this fact and the Minkowski diagram views of space-time that the passage of time is an illusion. The laws of physics are also largely time-symmetrical, and rely on the global increase in entropy as the cause of the arrow of time from past into future. Dr. Muller posits a, to me, obvious solution. That the expansion of the universe (and similar aspects of black holes) involve the creation of new space-time. More specifically, they involve not just the creation of new space, but also the creation of new time. The moving 3-D surface marking the boundary of new time thus marks the moving now that separates the existing past (space-time) from the not yet existing future (space-time). So far, so good. On the other hand, Dr. Muller soon moves to the time implications of free will, the mind-body problem, and the implications of the unprovability of all true statements in mathematics. Here, he appears to move from physics into philosophy, somewhat guided by wishful thinking. While interesting issues, they lack the persuasiveness of the first part of the book, and I can imagine other explanations than the ones he has based his theory on. For example, I believe that subjective awareness (the hard problem of consciousness) will eventually be added to physics, and neuroscience has much to say about free will; I believe that Dr. Muller’s reliance on mentally collapsing the quantum probability wave is magical thinking that smacks far too much of Maxwell’s demon. I therefore give Dr. Muller 4 stars for his book: the average of 5 stars for the first part of his book and 3 stars for the second part of his book.